The Problem/Barrier: We understand that for homeowners, investing in green stormwater infrastructure can be time consuming and costly, creating a barrier for would-be participants. Our goal is to work across the system, giving people the connections, tools, resources, and knowledge needed to care for our land and water. 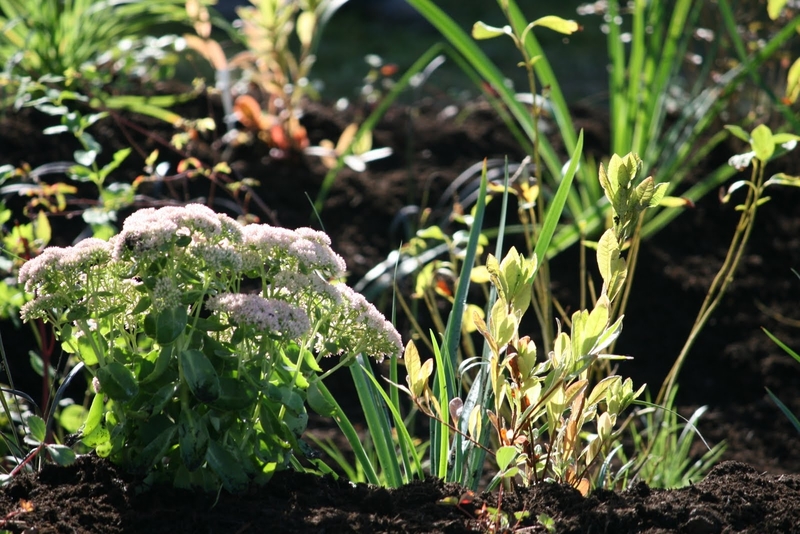 The Solution: Green Stormwater Infrastructure Mini Grants provide up to $1,500 for landowners within the King County Wastewater Treatment Division (WTD) service area that are not eligible for other incentive programs. Up to $4,500 may be provided to income-limited landowners. If you are ready to invest in green infrastructure on your property, we are here to help by walking you through the process and providing a financial tool. 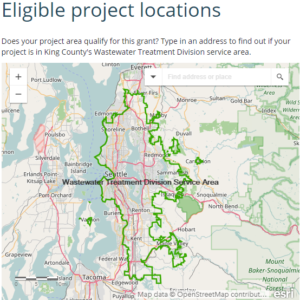 Verify that your within the King County Wastewater Treatment Division service area using the online interactive mapping tool (service area outlined by green line). Please contact us if you are unable to verify your address using the provided tool. This project is funded by the King County Wastewater Treatment Division.